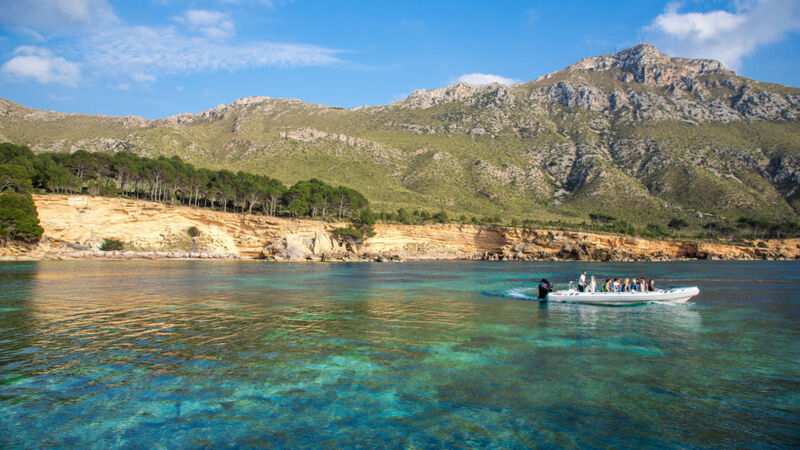 Colonia de Sant Pere is a low key and relaxed village on the south side of the Alcudia Bay in the northeast Mallorca. The village is situated between the sea and the Llevant mountain range and has a small white sandy beach, a pretty harbour and a few restaurants, bars and cafes. The rocky coast of this part of the island consists of hidden and isolated coves that attract snorkelers and divers. The mild easterly winds also draws windsurfers, who come here in search of big rolling waves. Within easy reach of the resort are also five excellent golf courses and an abundance of hiking and biking trails.